Whether we have had the pleasure of serving you and your child(ren) at either Our Lady of Mercy or St. Mary School, or whether you are new to our united school community, we warmly welcome you to the East Shoreline Catholic Academy! As principal and assistant principal of the Academy, we both share in the excitement and promise that characterize this partnership initiative, and we look forward with great optimism to providing your child(ren) with an innovative, forward-thinking, faith-filled experience of academic excellence. First and foremost, your child will learn in a loving and supportive school environment where each student’s special gifts are celebrated and they are encouraged to reach their full potential. Every student will be held to high academic standards, and their relationship with God will be simultaneously nurtured in accordance with the teachings of the Catholic faith integrated across the rigorous curriculum. 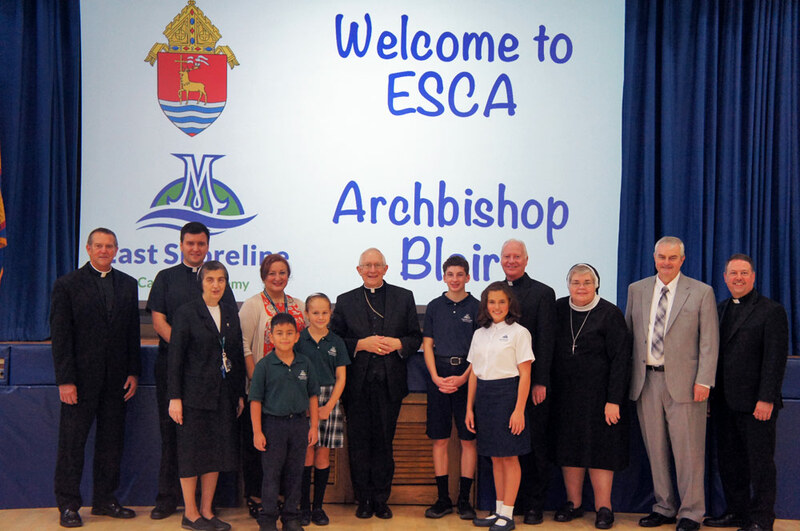 The East Shoreline Catholic Academy will employ the progressive STREAM educational model endorsed by the National Catholic Educational Association (NCEA), which connects every content area and richly augments all learning experiences by incorporating technology and engineering into a traditional curriculum. The STREAM curriculum includes Science, Technology, Religion, Engineering, the Arts (Fine Arts, Language Arts), and Mathematics. Interdisciplinary instruction and project-based application of learned concepts will help children acquire leadership skills while preparing them for success in those careers most in demand in the twenty-first century. Learning within a climate of innovation, Academy students will explore, analyze, and create whether they are collaborating with others or doing independent research. Highly trained, dedicated faculty will teach them to problem solve, to inquire, to think, investigate and innovate, developing the skills necessary for their current and future success. Woven throughout all of these activities will be a strong faith tradition, guiding their development as children of God who respect the dignity of every person. It is our great pleasure to welcome you and your child(ren) to this “think forward” institution that places a high priority on educator training, committed leadership, and the provision of a rich learning experience that will effectively prepare students for the future’s challenges within a supportive context of Catholic faith.